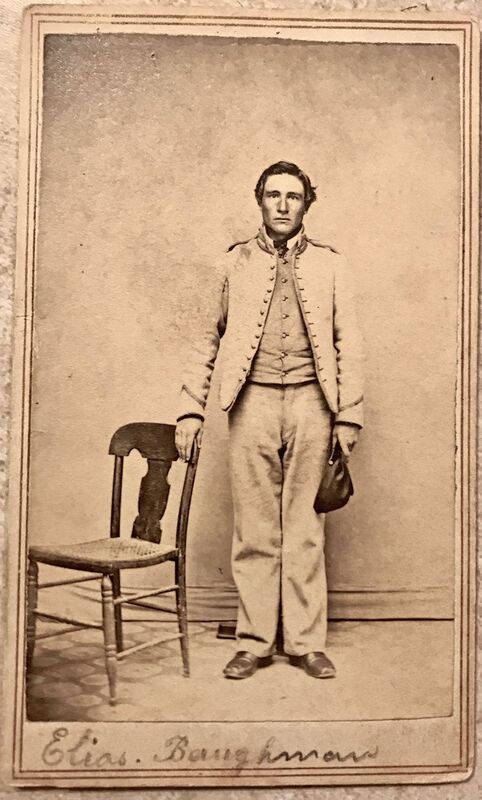 Cdv of 33rd Iowa Infantry/VRC soldier Elias Baughman. He is wearing the distinctive uniform of the VRC. Id'd on the lower front mount, and his address is written on the back. Wear as shown in the photographs.